One of the joys of administering Free-Programming-Books, the second most popular repo on GitHub, has been accepting pull requests (edits) from new contributors, including contributors who have never contributed to an open source project before. I always say thank you. I imagine that these contributors might go on to use what they've learned to contribute to other projects, and perhaps to start their own projects. We have some hoops to jump through- there's a linter run by Travis CI that demands alphabetical order, even for cyrillic and CJK names that I'm not super positive as to how they get "alphabetized". But I imagine that new and old contributors get some satisfaction when their contribution gets "merged into master", no matter how much that sounds like yielding to the hierarchy. Contributing to Wikipedia is a different experience. 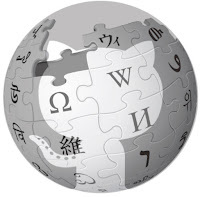 Wikipedia accepts whatever edits you push to it, unless the topic has been locked down. No one says thank you. It's a rush to see your edit live on the most consulted and trusted site on the internet. But then someone comes and reverts or edits your edit. And instantly the emotional state of a new Wikipedia editor changes from enthusiasm to bitter disappointment and annoyance at the legalistic (and typically white male) Wikipedian. Psychologists know that that rewards are more effective motivations than punishments so maybe the workflow used on GitHub is kinder than that used on Wikipedia. Vandalism and spam are a difficult problem for truly open systems, and contention is even harder. Wikipedia wastes a lot of energy on contentious issues. The GitHub workflow simplifies the avoidance of contention and vandalism but sacrifices a bit of openness by depending a lot on the humans with merge privileges. There are still problems - every programmer has had the horrible experience of a harsh or petty code review, but at least there are tools that facilitate and document discussion. The saving grace of GitHub workflow is that if the maintainers of a repo are mean or incompetent, you can just fork the repo and try to do better. In Wikipedia, controversy gets pushed up a hierarchy of privileged clerics. The Wikipedia clergy does an amazingly good job, considering what they're up against, and their workings are in the open for the most part, but the lowly wiki-parishioner rarely experiences joy when they get involved. In principle, you can fork wikipedia, but what good would it do you? The miracle of Wikipedia has taught us a lot; as we struggle to modernize our society's methods of establishing truth, we need to also learn from GitHub. Update 1/19: It seems this got picked up by Hacker News. The comment by @avian is worth noting. The flip side of my post is that Wikipedia offers immediate gratification, while a poorly administered GitHub repo can let contributions languish forever, resulting in frustration and disappointment. That's something repo admins need to learn from Wikipedia!